I needed a quick post for this week as I will be in North Carolina for our family reunion at the Outer Banks. So before heading out with the wife and kids for a 3 AM departure, I went outside the day before and shot some late afternoon garden photos. Likely the most popular request I get on my blog contact page from readers is for more pictures of my garden. With the rainy, warm winter and with the high heat and humidity we have had seemingly all summer so far, the garden looks great right now. 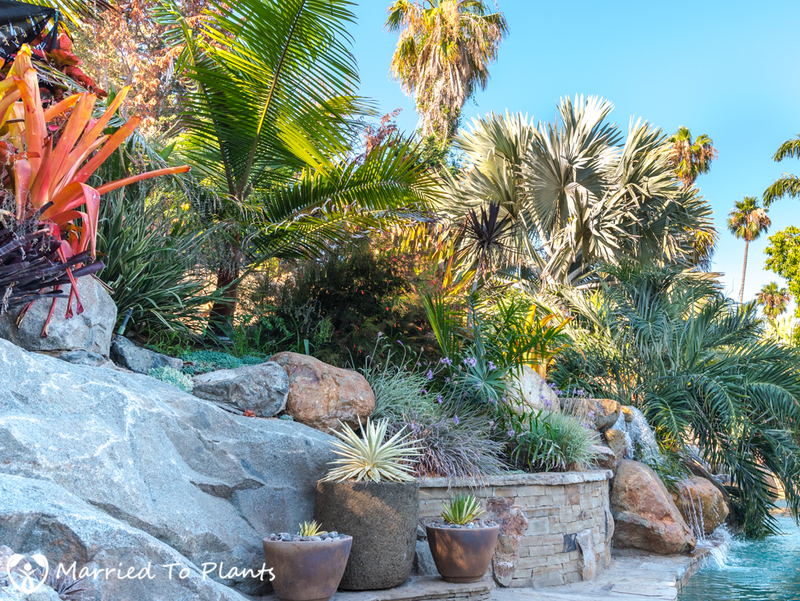 Southern California is not an easy place to grow picture-perfect plants. Our tap water is high in total dissolved solids, which most plants don’t like. We get wet, sometimes cold winters, which makes many plants suffer through winter. 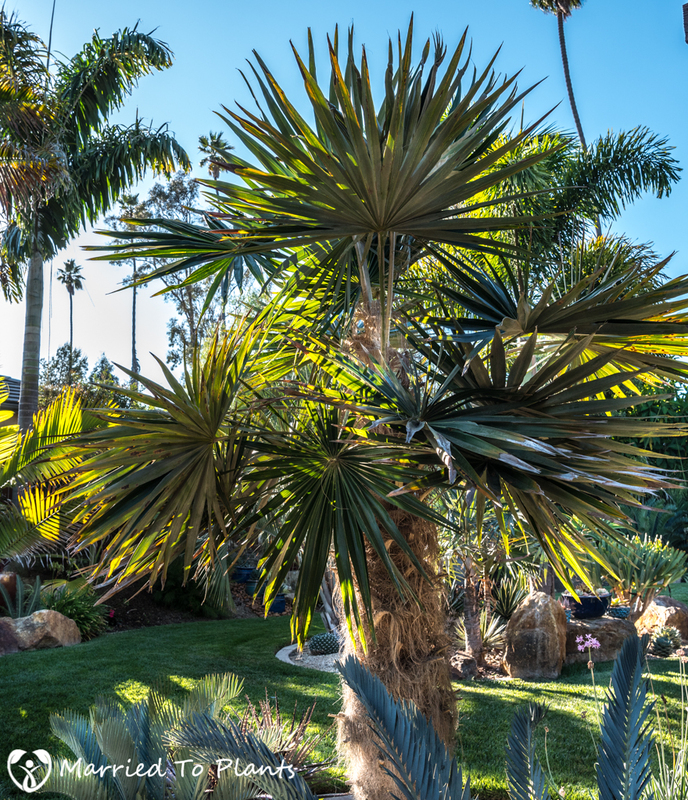 Plus we get a few hot and dry Santa Ana events that can nuke an entire garden of tropicals. With all that being said, I feel pretty good about how my plants are looking at this time of year. The best months in the garden for me are July, August and September, so of course that means this is also the best time to take garden photos. 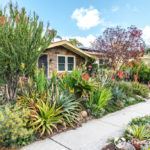 I’ll start the 20 garden photo tour in the front yard. 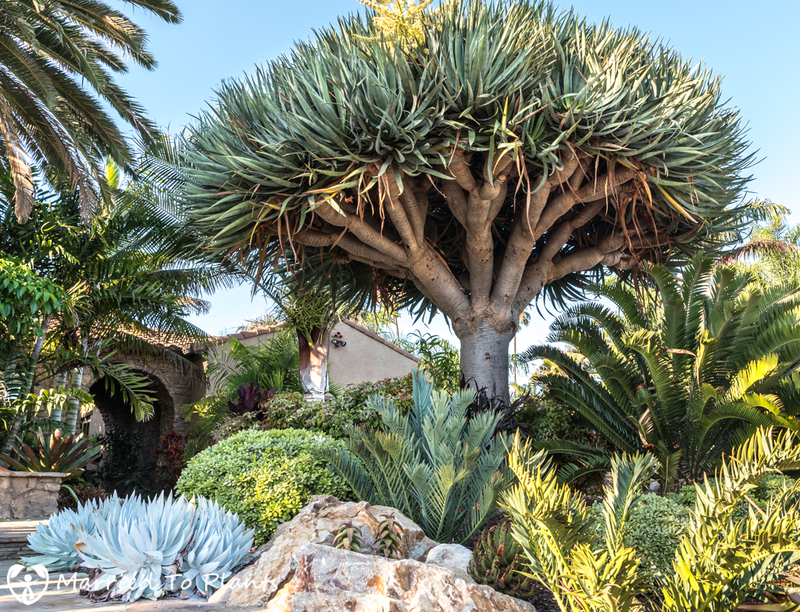 #1 – Dracaena draco towering over a few different species of Encephalartos and very happy Dudleya brittonii. 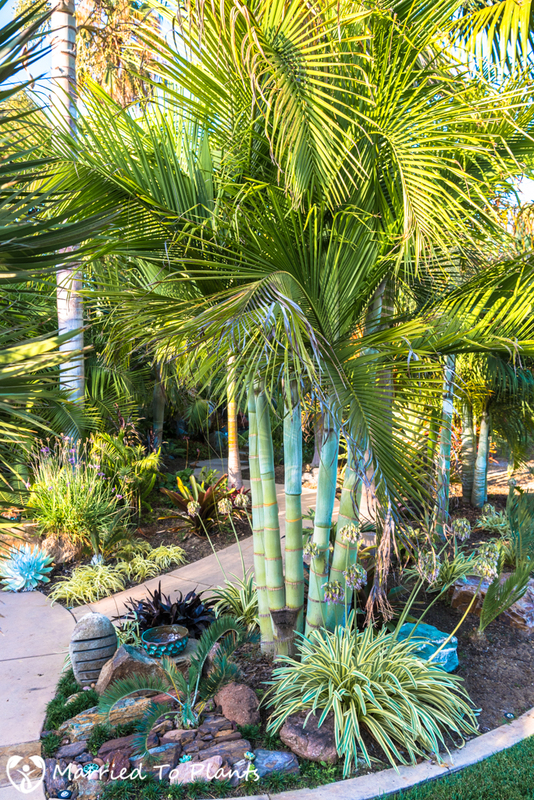 #2 – Dypsis leptocheilos x decaryi and Phoenix canariensis dominate this garden photo. 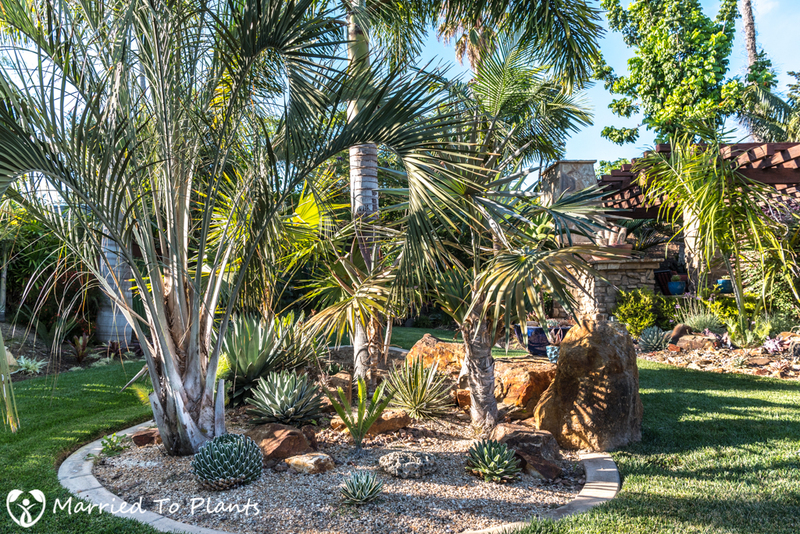 #3 – Palm trees, aloes, agaves, cycads and bromeliads are planted throughout my yard. Representatives from each can be found below. #4 – My Copernicia fallaensis is getting large. 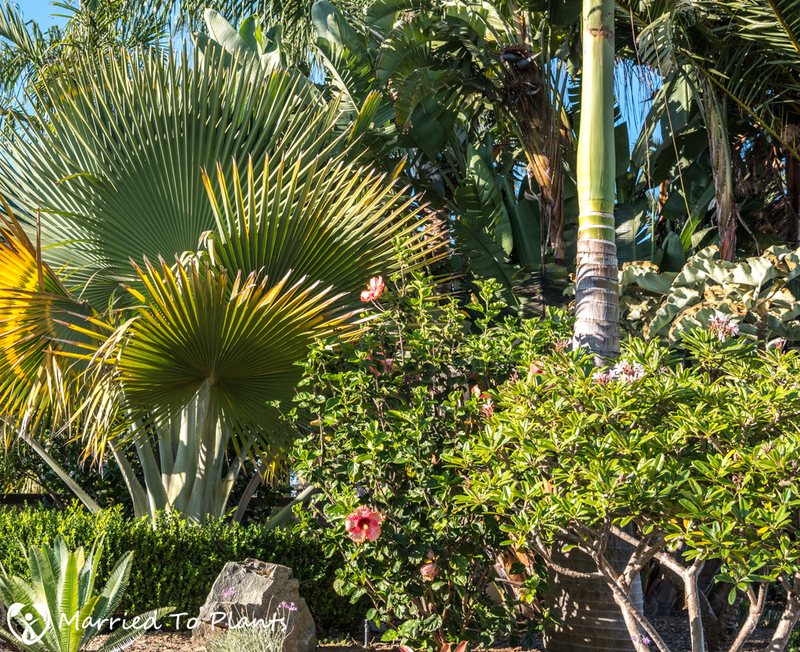 Can you see the Kalanchoe beharensis peaking from behind the plumeria and hibiscus? It’s about 10 feet tall now. 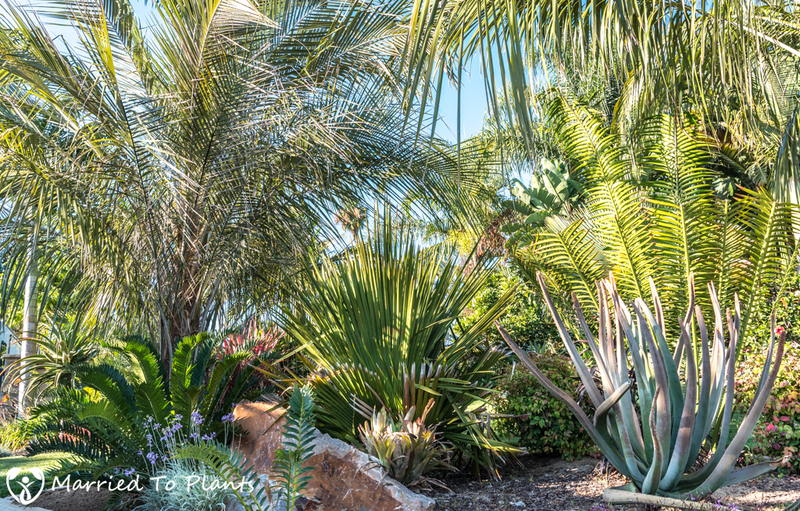 #5 – Copernicia rigida centered with Aloe suzannae to the right and a Parajubaea to the left. Now on to the backyard to show the final 15 of the 20 total garden photos. 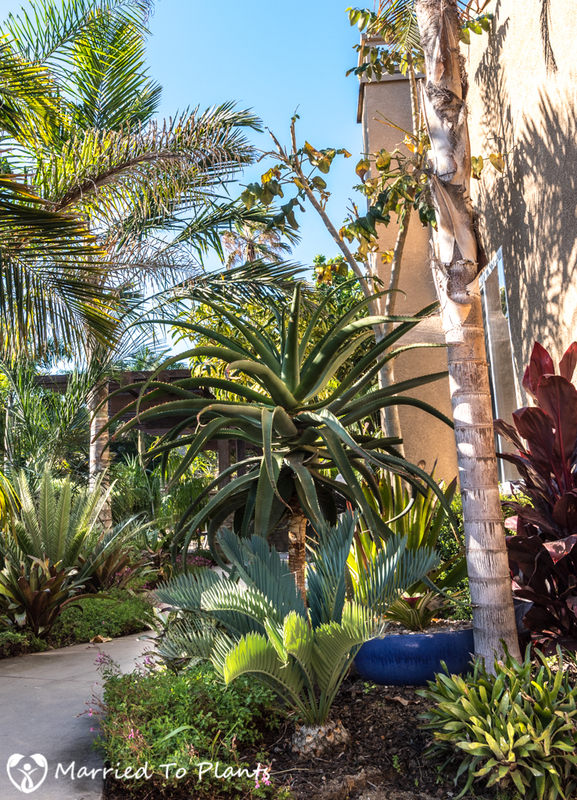 #6 – A walkway that leads to the back yard that is lined with many different plants. The aloe is a single-stemmed Aloe rupestris. 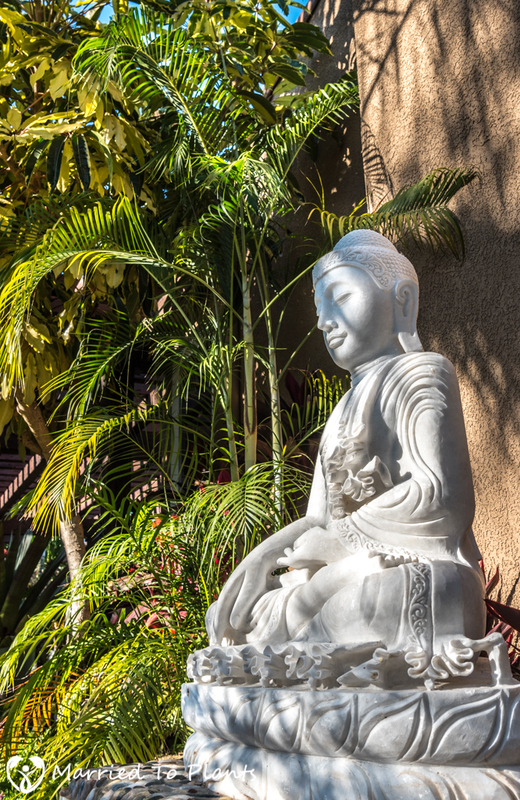 #7 – My marble Buddha I bought in Myanmar sitting next to a Dypsis albofarinosa. #8 – Another Dypsis leptocheilos x decaryi in my yard. 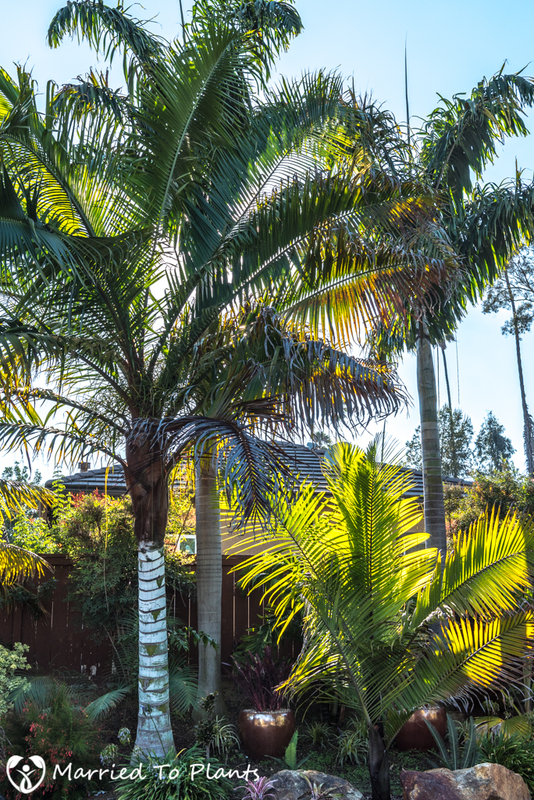 The smaller palm to the right is an unknown species of Dypsis call “Big Red.” The sun illuminating it from behind makes it look yellow. 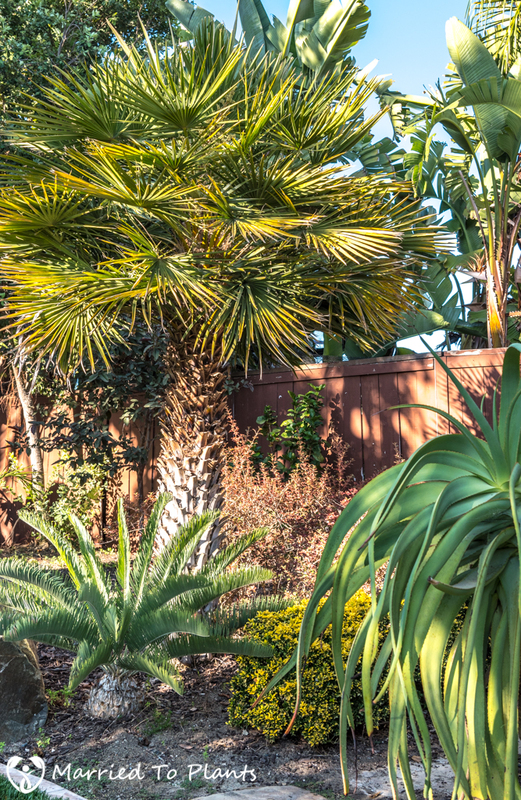 #9 – An old Coccothrinax crinita with an agave garden behind it. 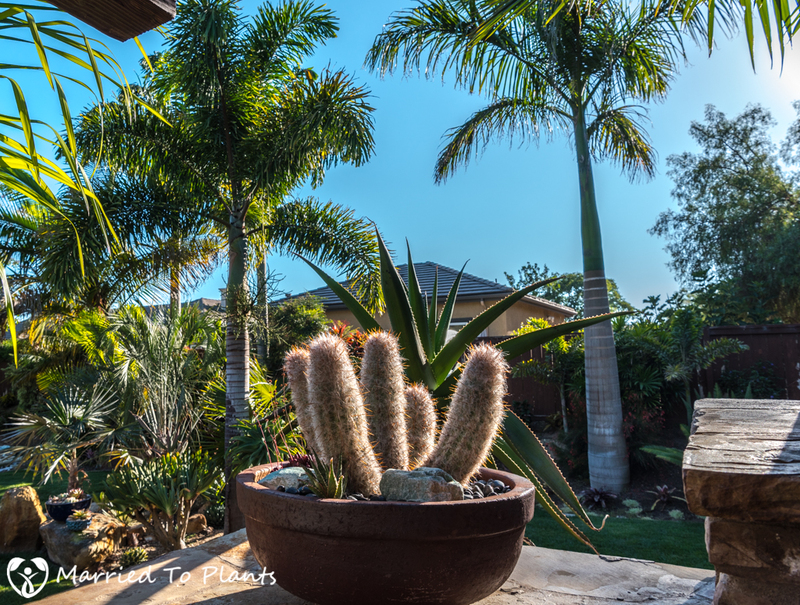 #10 – A closer look at that agave bed shown above. The choice plant here for me is the Ravenea xerophila that is just now starting to trunk. 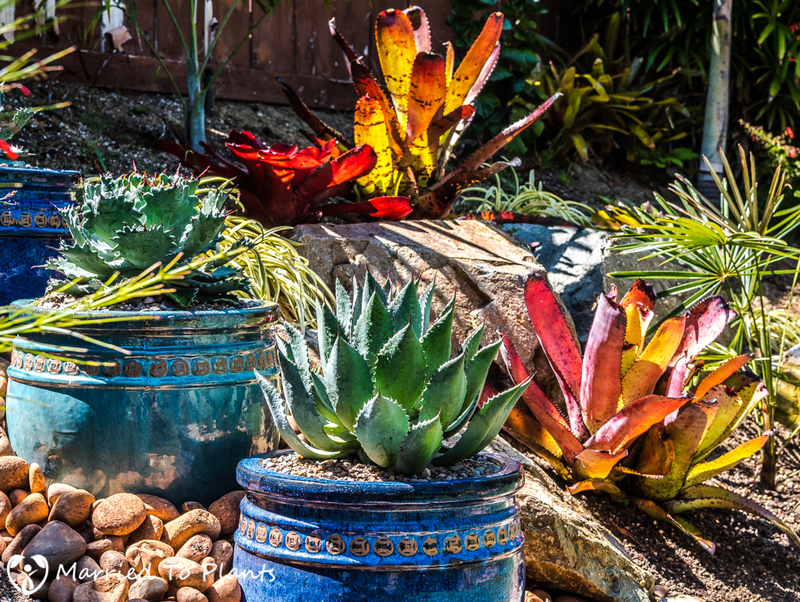 #11 – The sun was hitting these Neoregelia carcharodon bromeliads perfectly to the point it made them glow. #12 – Old Man of Andes Cactus (Cephalocereus senilis). #13 – The Balinese goddess of prosperity Dewi Sri with her New Caledonia palm friends. I still haven’t been able to plant out the bare hillside you see in the back. That requires a concrete pathway and a few small retaining walls. #15 – Another poolside garden photo. The dominant palm is of course Bismarckia nobilis. The large blue leaves can be seen from just about everywhere in the backyard. 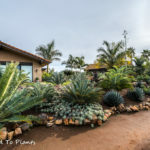 #16 – Aloe bainesii and various blue Encephalartos. #17 – One of my favorite views in the yard. It just keeps getting better as plants grow and fill in. 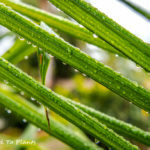 #18 – A closer view of the Dypsis sp. ‘Bef’ that you can see on the far left in the garden photo above. The ceramic pot you see has been sitting there empty for a few years now. I can’t seem to get anything planted into it. 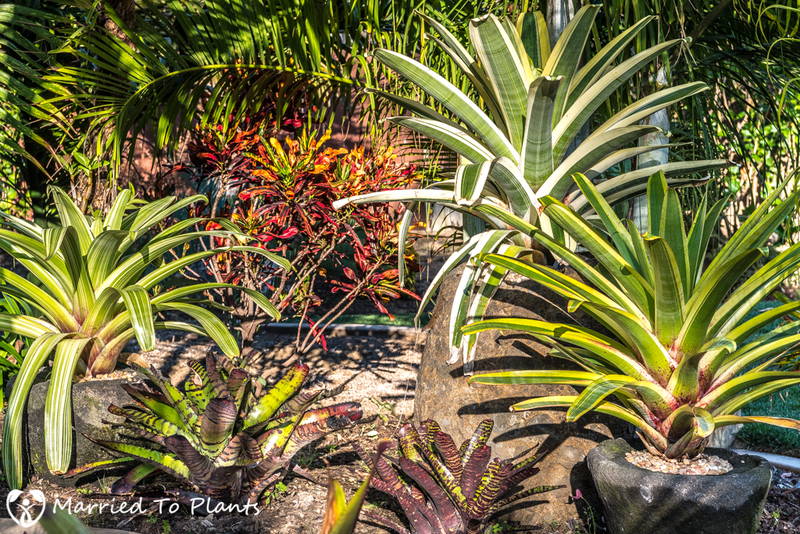 #19 – Some really beautiful and rare bromeliads. Bromeliads have become one of my newer passions. 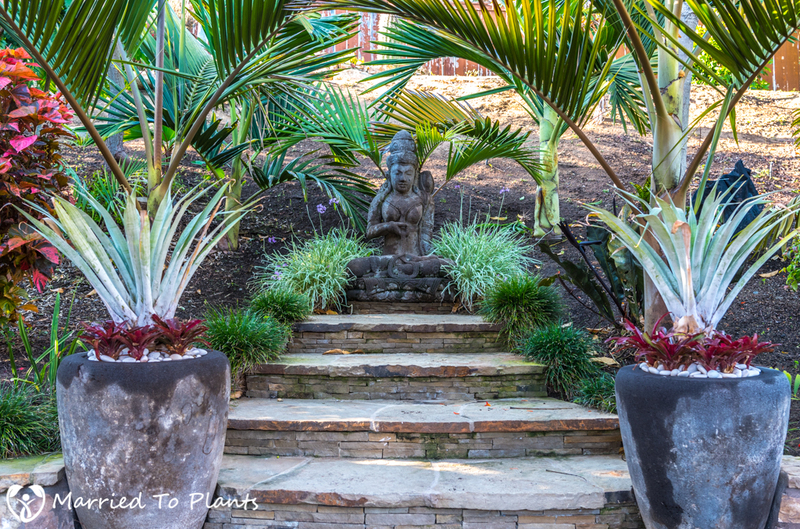 #20 – Copernicia prunifera with an Encephalartos friderici-guilielmi showing off its new flush. 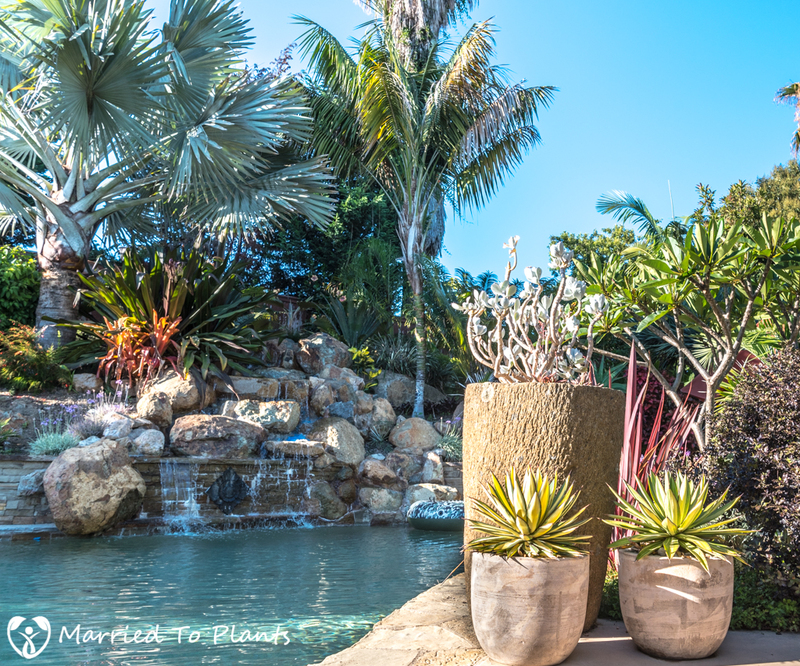 I love the look of aloes and cycads with palm trees. Thats it: 20 garden photos. Truth be told, it only took me about 10 minutes to run around the yard and take these quick pics. I wish getting two kids with ADHD to pack were so easy. 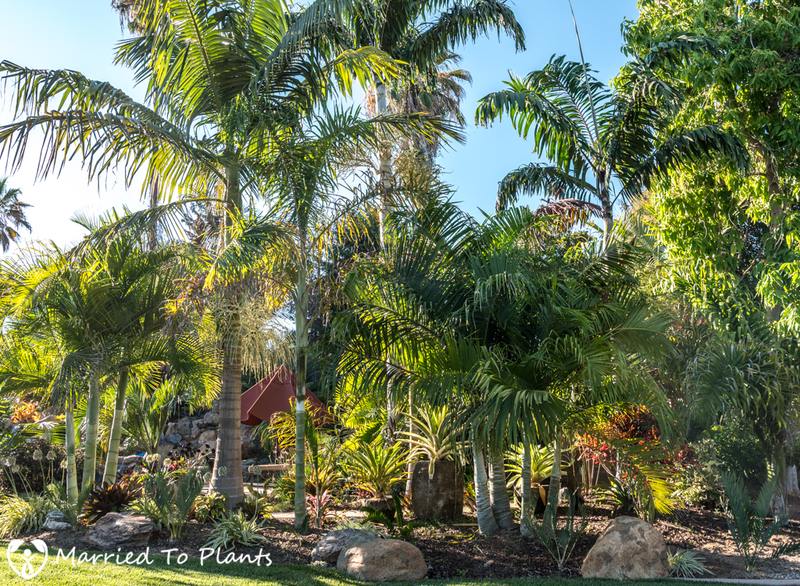 Magnificent garden, thank you for the photographic tour. You have so many special plants grown very well. 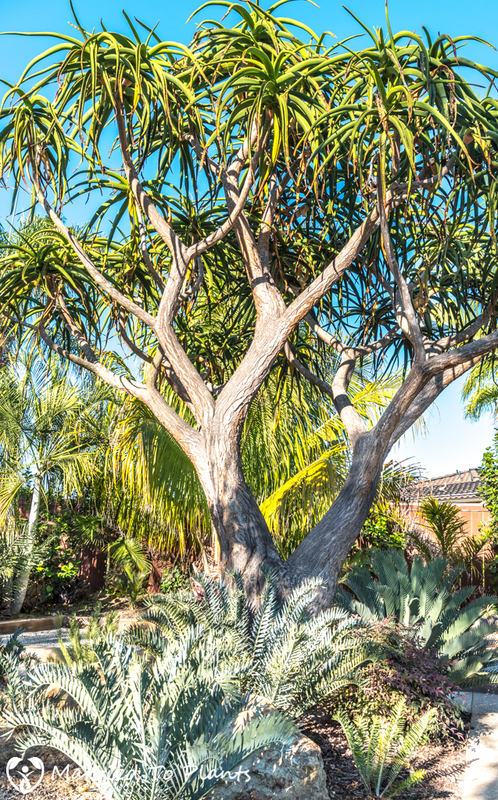 The Copernicia fallaensis is a gem, and the tree Aloes an excellent contrast with the palms. How old is your Aloe barbarae? Most of the big old specimens at the Huntington have been taken down–rot. Thank you for the kind words. I bought the tree aloe (correct name is now Aloidendron barberae – hard to keep up) as a 36 inch boxed plant in 2005. It grows pretty fast with all the water it gets. No fear of rot due to DG soil I have. Beautiful. Is the soil strictly DG or a mix of DG and organic material? I am planning similar plantings and want to get the soil right. Thanks! It was inorganic DG as it was a new lot at time. Over years I have been amending, but after first few inches it is just DG. Great for drainage, but does require a lot of fertilizer. All looking great Len. 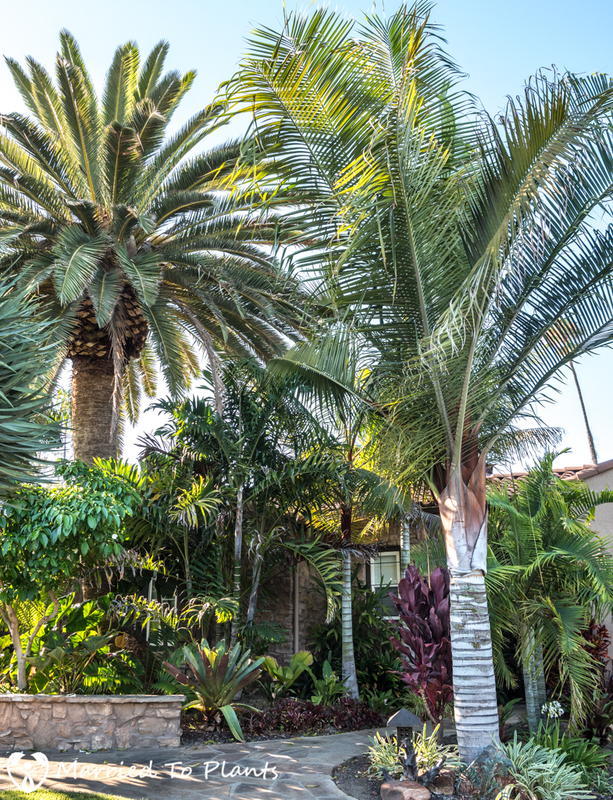 I like the palms with colorful trunks especially- best of both worlds,lacy fronds and you can also admire the trunks being more then wood tone. That Triangle hybrid is outstanding. I planted a seedling 3 years ago of the plain version.Doing well,but poking long. 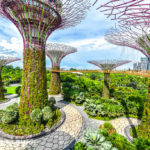 How are the hybrids in growth rate? Would I’ve able to find them online? Or are they more of only at a nursery available? 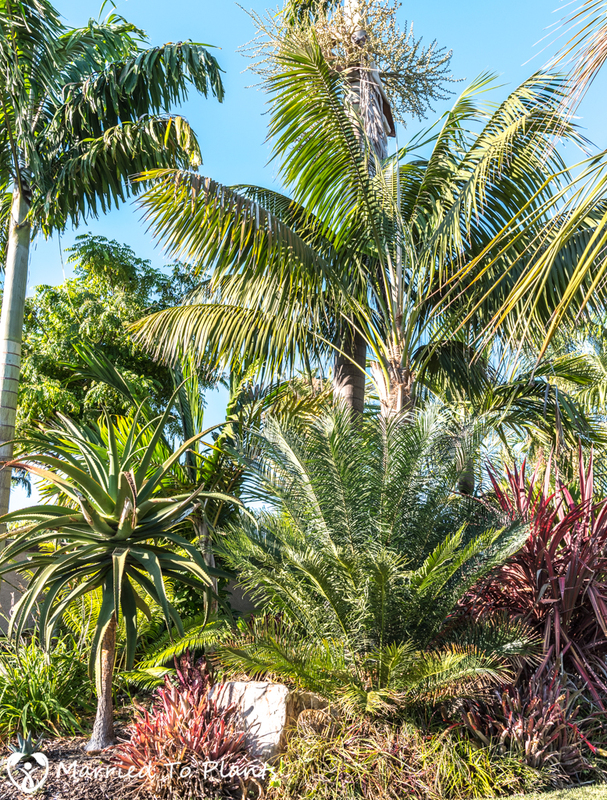 Same for Dypsis “Bef”…beautiful palm! Hi Stan. Nice job finding that hybrid. Almost impossible to find now until someone makes them again. I have a few in 7 gallons I have been growing. Growth rate is faster than either parent plant.